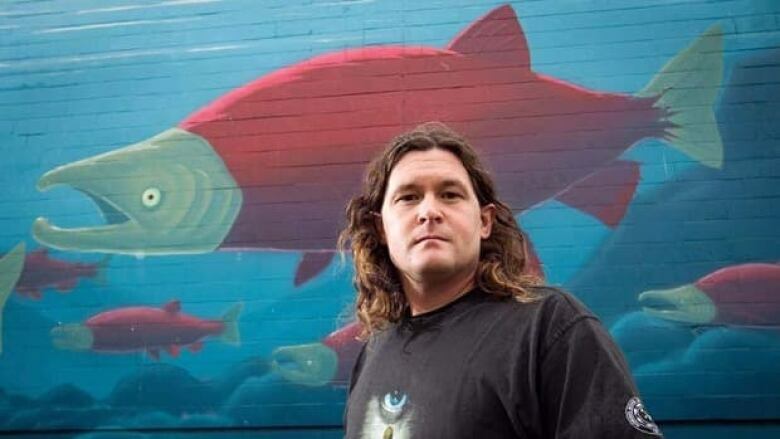 Justice Elaine Adair has dismissed a defamation case launched by the salmon-farming company Mainstream Canada against Don Staniford over a 2011 campaign that included images of cigarette-like packages and statements such as "Salmon Farming Kills Like Smoking." In her ruling published Friday, Adair said while the statements were defamatory and Staniford was motivated by malice, the activist honestly believed in what he was saying and animosity wasn't his dominant purpose. The ruling left officials at Mainstream Canada, a subsidiary of the Norwegian company Cermaq, disappointed. But the British-born Staniford, who was removed from Canada this past February for overstaying a visitor's permit, was in a celebratory mood. "I am over the proverbial moon and feel extremely vindicated," he said during a phone interview from Spain. "All along I knew that Cermaq [was] whistling in the dark." "This is a victory not just for Don Staniford against Mainstream Canada. This is a victory for environmental campaigners, social-justice campaigners across the world." Laurie Jensen, a spokeswoman for Mainstream Canada, said the company will be reviewing the ruling, noting it's too early to say if it will appeal, and she defended the court action, saying it was the right thing to do. "What we're seeing is a character of a person," she said. "And because, you know, he's not found legally responsible doesn't mean that, you know, he's getting away with things." She said Adair's ruling supports many of the company's allegations, but she's disappointed the judge dismissed the court action over fair comment, a ruling she called "outrageous." The court action was not the first faced by Staniford. His first legal threat came from a Scottish salmon-farming company in 2001 but that never went to trial. He also won a new trial that has yet to happen after appealing a defamation victory by B.C. 's Creative Salmon Company in 2007. The latest defamation case was launched by Mainstream Canada based on a Jan. 31, 2011 Global Alliance Against Industrial Aquaculture campaign. Court documents state a news release sent to media included four mock-cigarette packages, all modelled after the Marlboro brand, containing statements like, "Salmon Farming Kills," "Salmon Farming is Poison," "Salmon Farming is Toxic," and "Salmon Farming Seriously Damages Health." Images also appeared on the global alliance's website. Many packages also included statements, such as "Norwegian Owned," and "92% Norwegian Owned." Mainstream Canada, which has 27 fish-farm sites along the east and west coasts of Vancouver Island and is the second-largest salmon-farming company in B.C., argued there were more than 50 instances of defamatory words. In fact, when questioned during the trial, Staniford wasn't aware of any research showing anyone had developed cancer after eating farmed salmon, Adair said in her ruling. But based on peer-reviewed science from the global salmon-farming industry, Staniford said the product "can contain cancer-causing chemicals and can carry an elevated cancer risk," noted Adair. But the judge found Staniford believed what he said, although she called him a "zealot," challenged his credibility and noted his "closed-mindedness and deep prejudices make him an unreliable reporter of facts." Still, Adair ruled Staniford's defence of fair comment should succeed. Staniford said the court case cost him about $100,000 even with his lawyer, David Sutherland, working at a reduced rate. Staniford said he'll return to Canada as soon as he's allowed on March 1, 2013, and is planning a lecture tour around B.C. with Kurt Oddekalv, the leader of the Green Warriors of Europe, an environmental organization.